Every Saturday morning from 7:30 until 11:30 a.m., The Third Street Farmers Market, located behind Tommy Bahamas in the Neapolitan parking between Third and Gordon Drive, overflows with fresh produce, flowers, pastas, cheeses, seafood, baked goods, prepared foods, jams, relishes as well as superb glycerin soaps, shell mirrors and much more . Music, coffee, dog treats, and many other delights make The Third Street Farmers Market perfect for grown-ups, children, dogs, and every other member of the family. 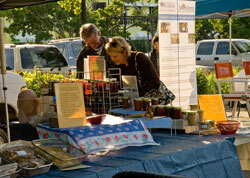 Click here for more information on the Market Vendors. 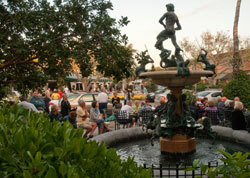 Every Thursday from November until the end of May, and every Third Thursday from June through October, the courtyards and plazas of Third Street South resound with music. From 6:00 until 9:00 pm, listen to jazz, rock, folk, steel band or some other group, and if the spirit moves - as it always does - dance until you can dance no more. The shops are open, the restaurants welcome you, and the music beckons. Come. Thursdays on Third is all about fun. Groups of 20 or more. This must be arranged in advance. Call 239-252-4073. Please note that Sun-N-Fun Lagoon is a family experience, therefore we ask that the appropriate swim attire be worn throughout your visit (i.e., no bathing-suit thongs, please). In addition, children in diapers are required to use waterproof protectors. 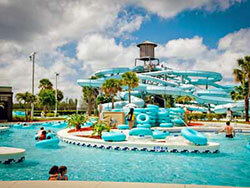 In order to guarantee our guests' comfort and safety, Sun-N-Fun Lagoons capacity is limited. Admission into the park may be suspended during the day due to periods of high attendance. For the latest park operating updates or additional park information, call 239-252-4021. Sunny's Snack Shack offers a wide variety of tasty treats. 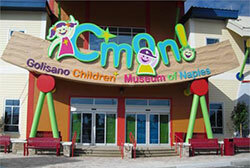 The Golisano Children's Museum of Naples is a two-story 30,000 square foot cultural institution including ten permanent and temporary exhibit galleries, a Family Resource Library, classrooms, birthday party room, meeting rooms, Garden Cafe and Museum Store as well as space for staff, volunteers and ongoing operations. All facilities are designed to be fully accessible. The exhibits blend state-of-the-art technology with a replication of the natural world and human communities. Developed by experts in child psychology, museum master planning and exhibit design this experiential play fosters creativity, curiosity, empathy and self-esteem. Play allows children to develop the social skills needed to cooperate with others, sharpen their senses as a means for exploration, strengthen gross and fine motor skills and develop problem solving techniques. *Members' Early Bird Hour: C'mon members (Play level and higher memberships) enjoy an exclusive hour before opening, 9AM-10AM, Monday, Tuesday, Thursday, Friday, and Saturday. * Save money! Plan to visit the Museum more than three times this year? Become a C'mon Member! For more information, or to pre-purchase your passes, CLICK HERE to visit their website.